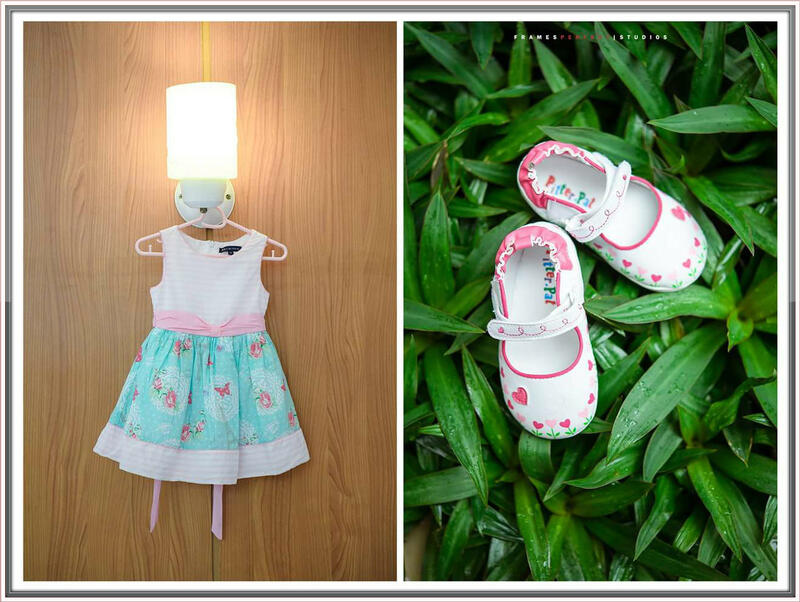 I’m very meticulous when it comes to my children. 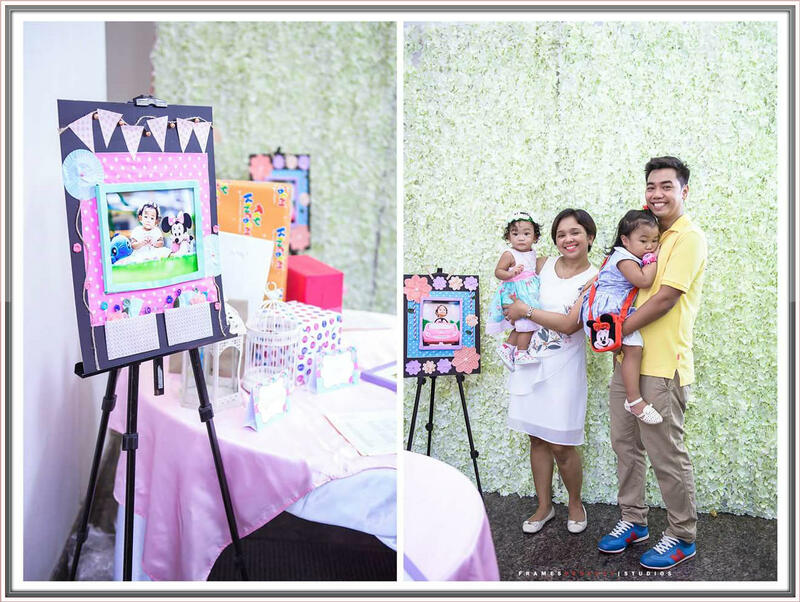 I want to make sure that I give them the best in everything, so when Rhaine was 6 months old, Ian and I started the planning for Rhaine’s first birthday. 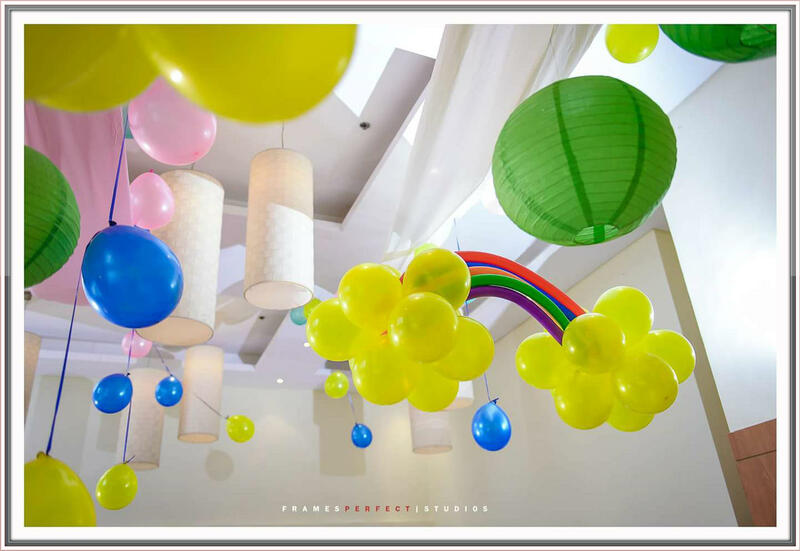 Unlike to Rhian, we include Shakey’s in our options, this time kasi we decided to limit our guests since our budget is very limited (remember we are paying for the car and housing loan) but of course we make sure that we’re still giving the best party for Rhaine. 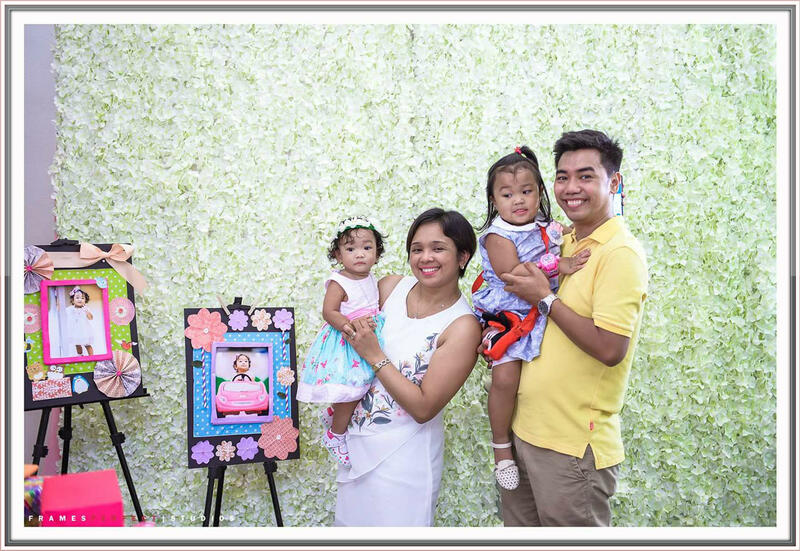 I must say that I already mastered the art of planning, from our wedding, baptism of Rhian and Rhaine and 1st birthday of Rhian, gamay na gamay ko na lahat. 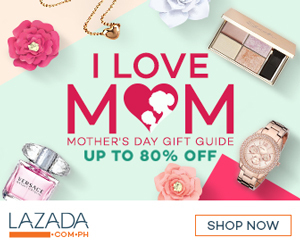 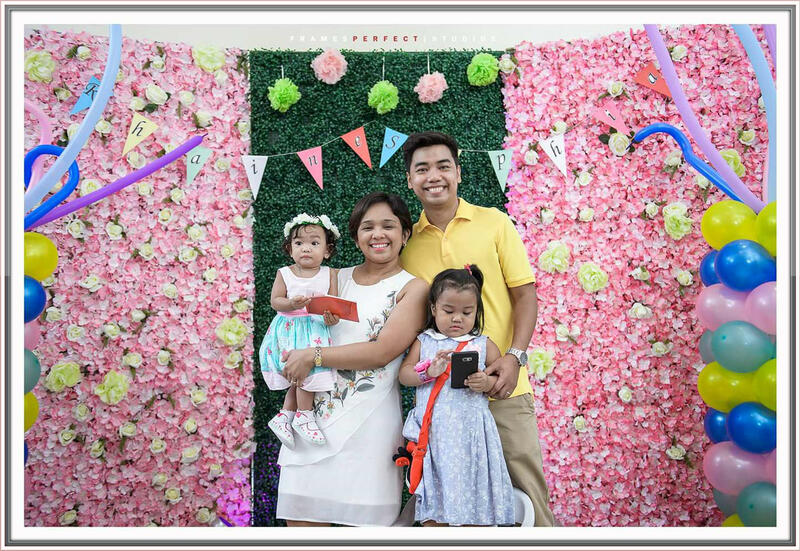 Sabi nga nila, If you love and happy of what you are doing, the result will be perfect and because I really love doing things for my babies it turned out to be one of the perfect birthdays ever. 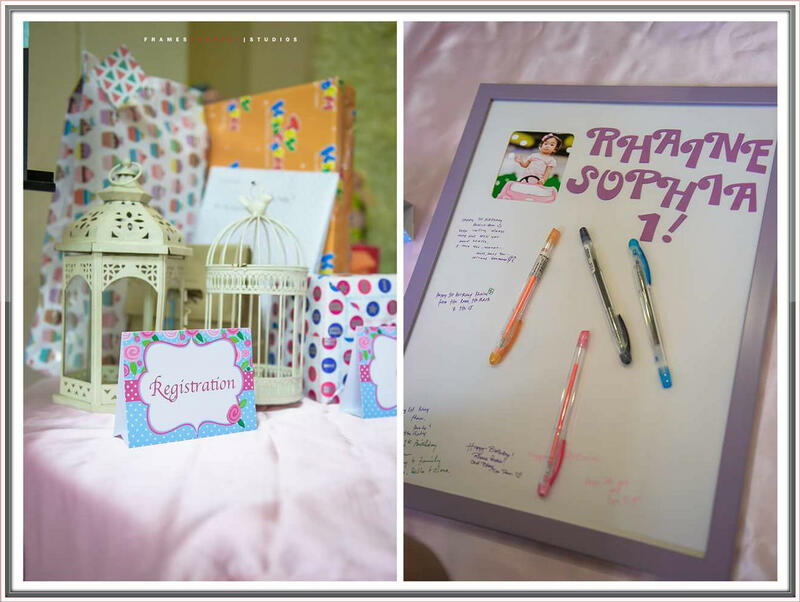 My husband is very supportive not only financially but also his presence during the meet-ups, contract signing and even doing some DIY stuff. 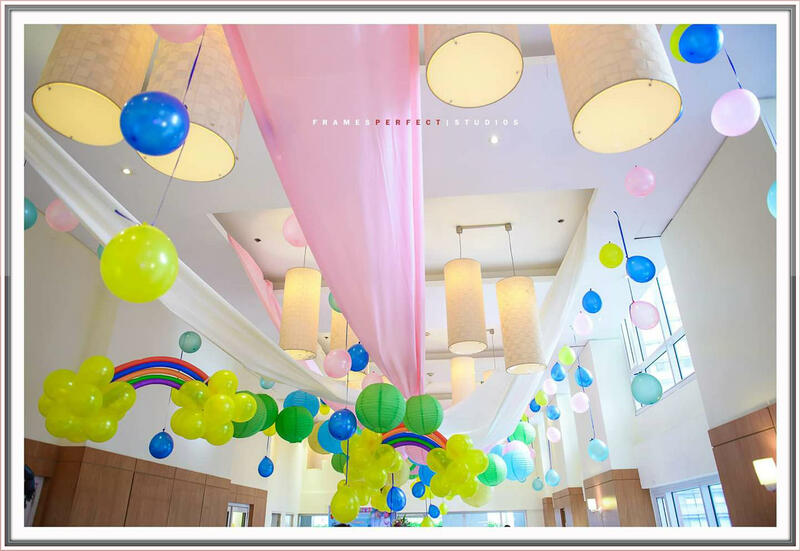 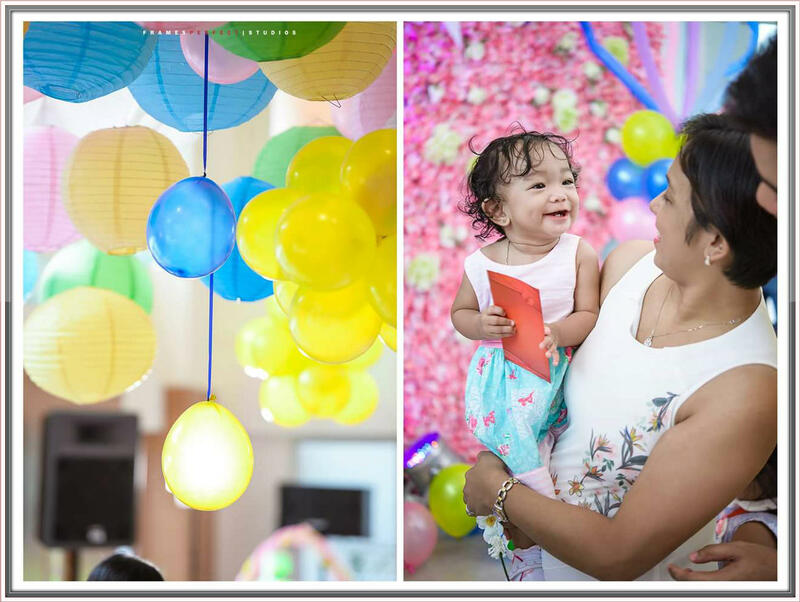 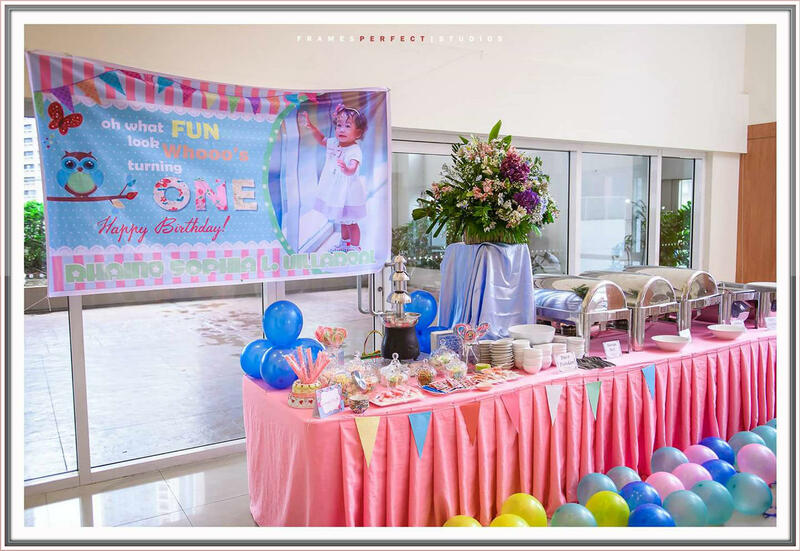 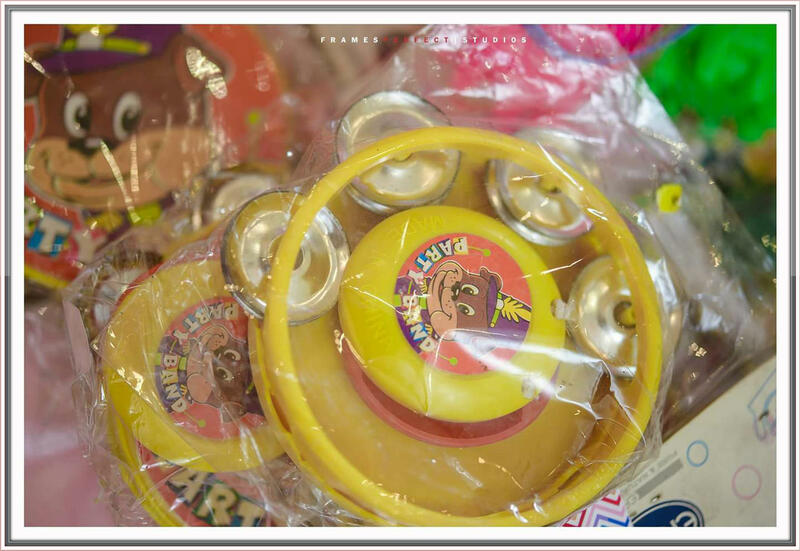 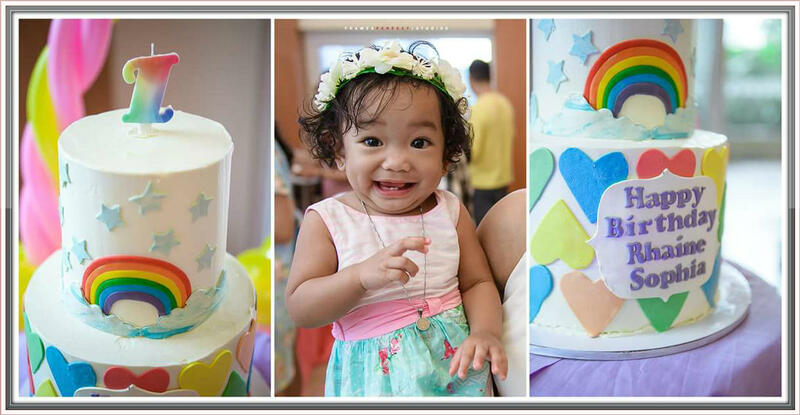 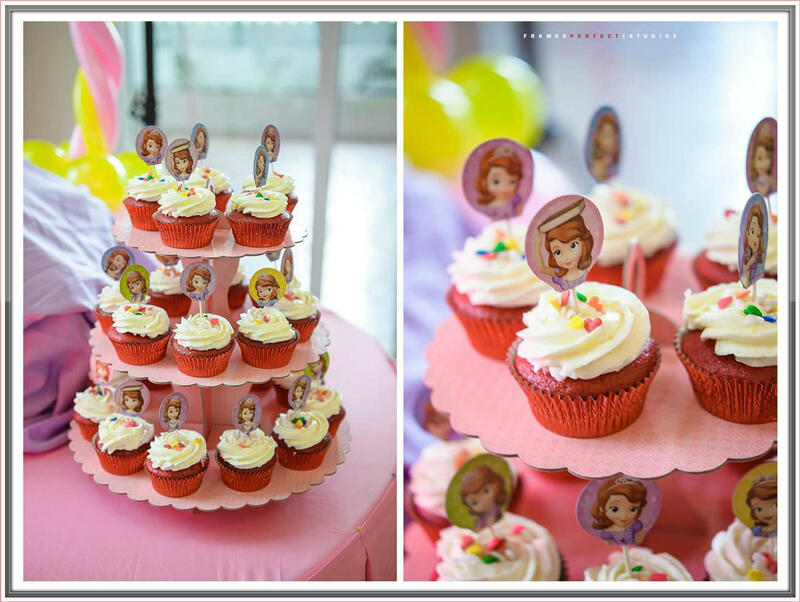 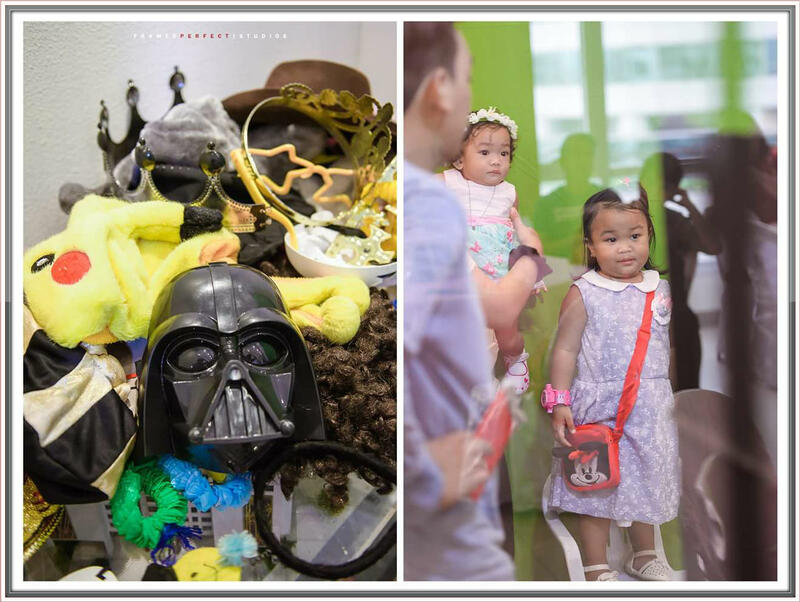 Party Out Loud Events is our main supplier during Rhian’s first birthday, and because they offer affordable packages we decided to book them for Rhaine’s party. 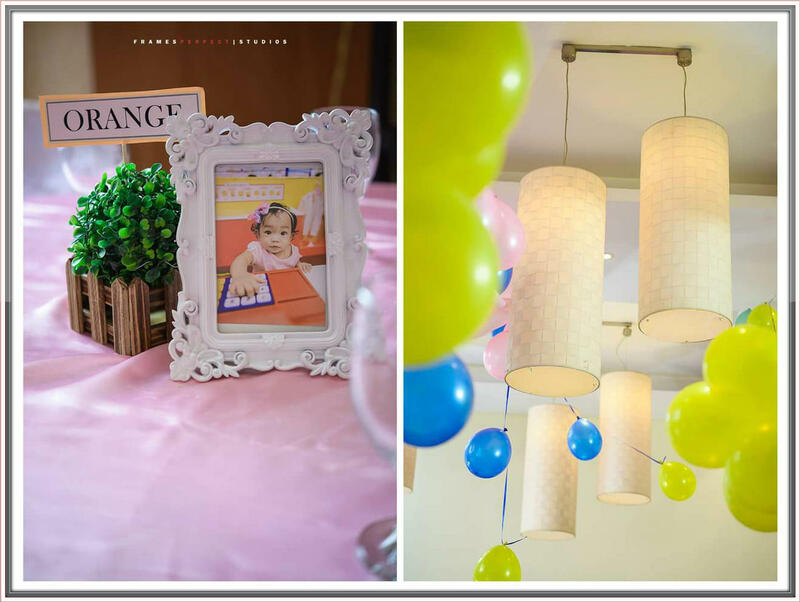 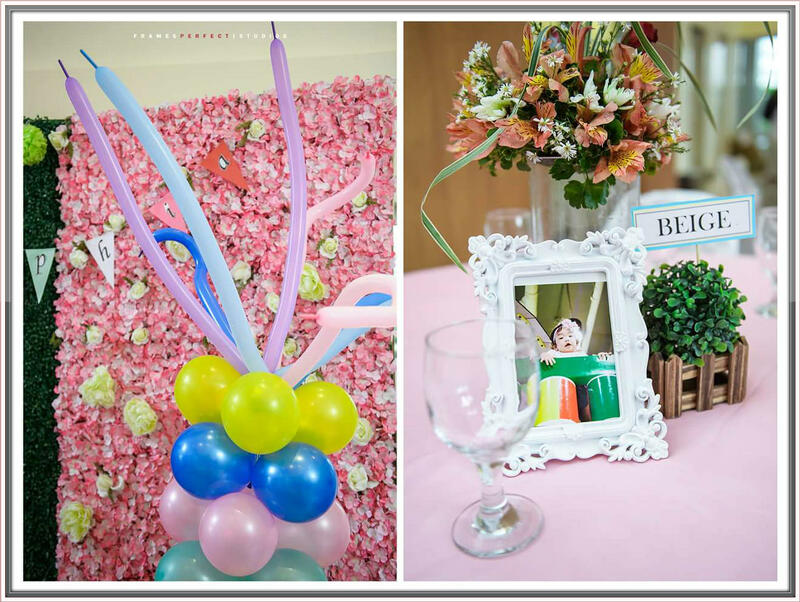 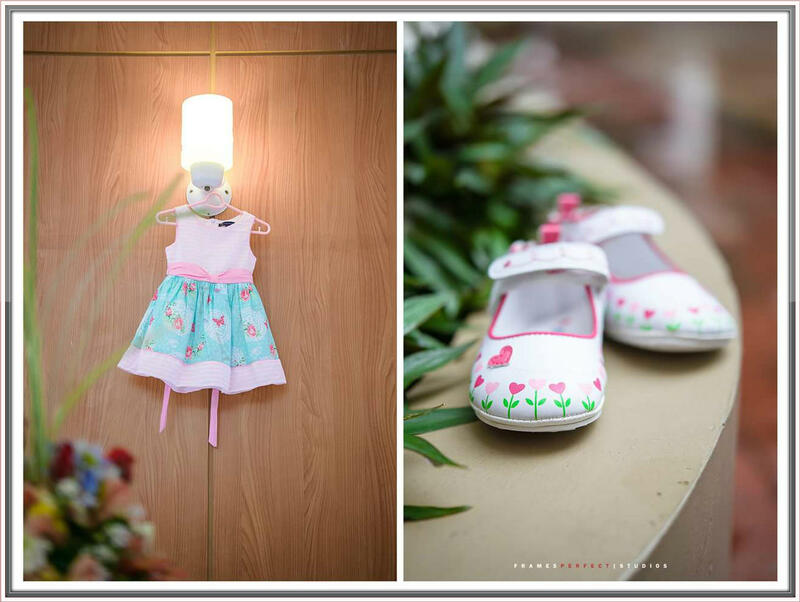 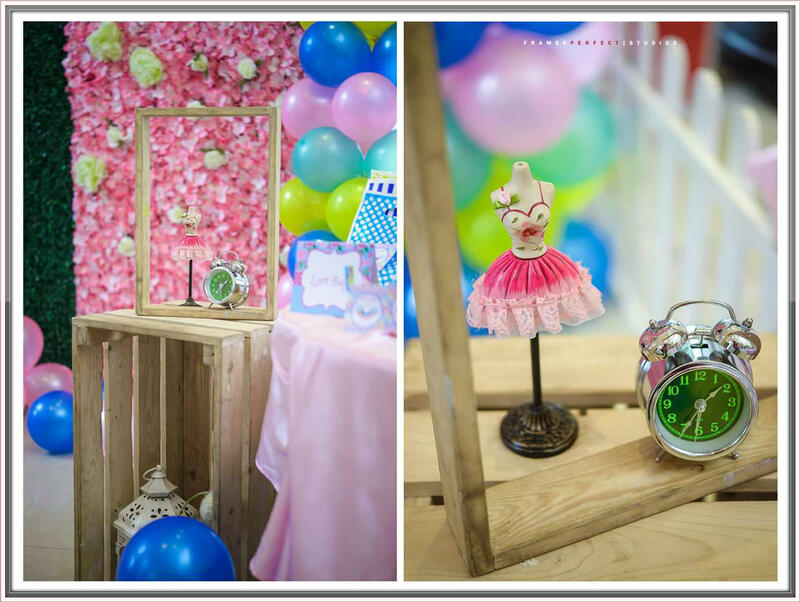 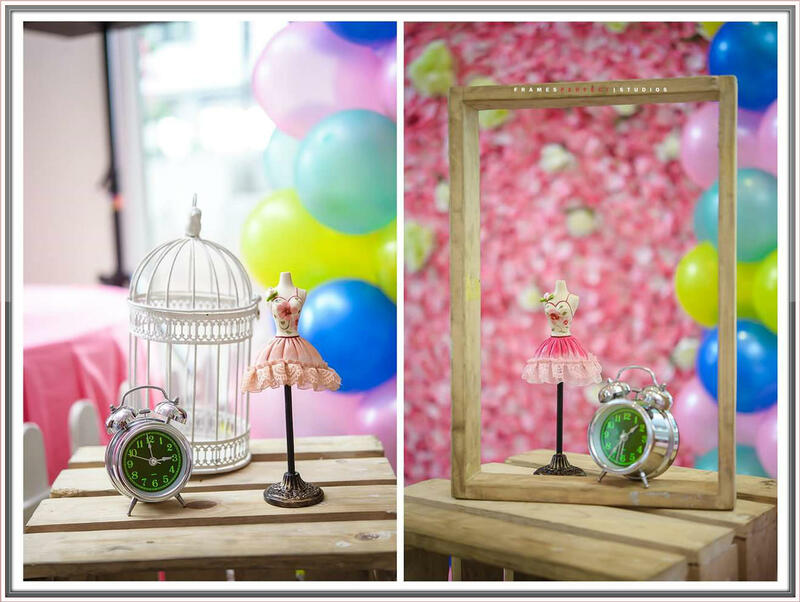 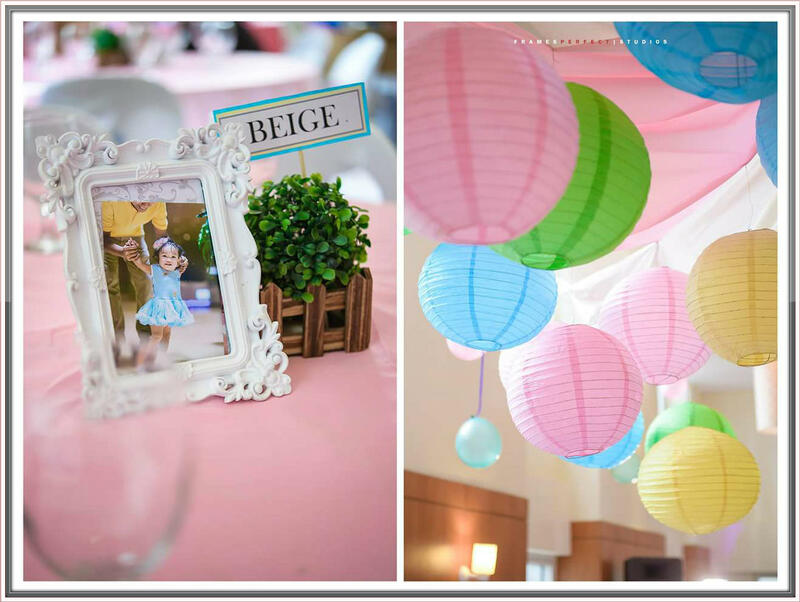 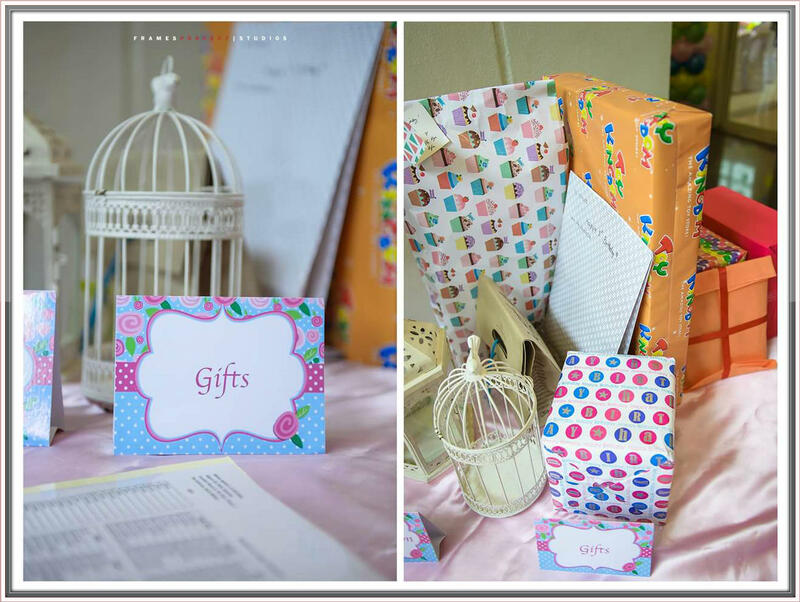 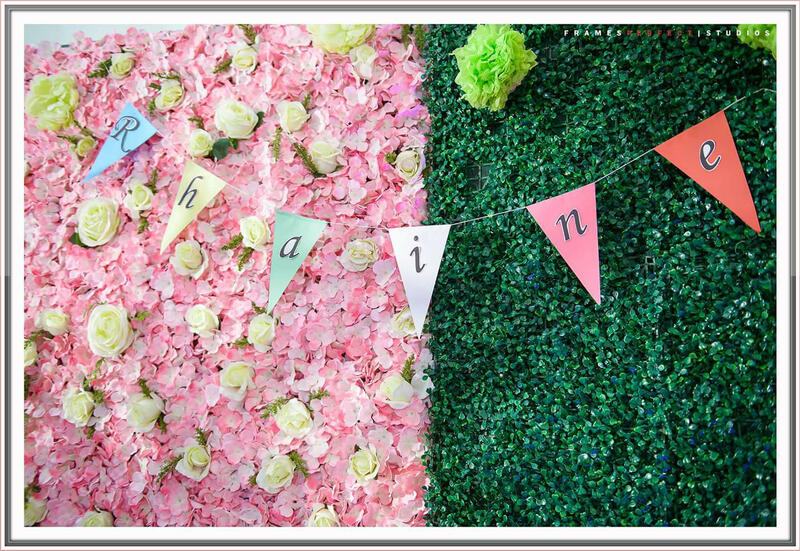 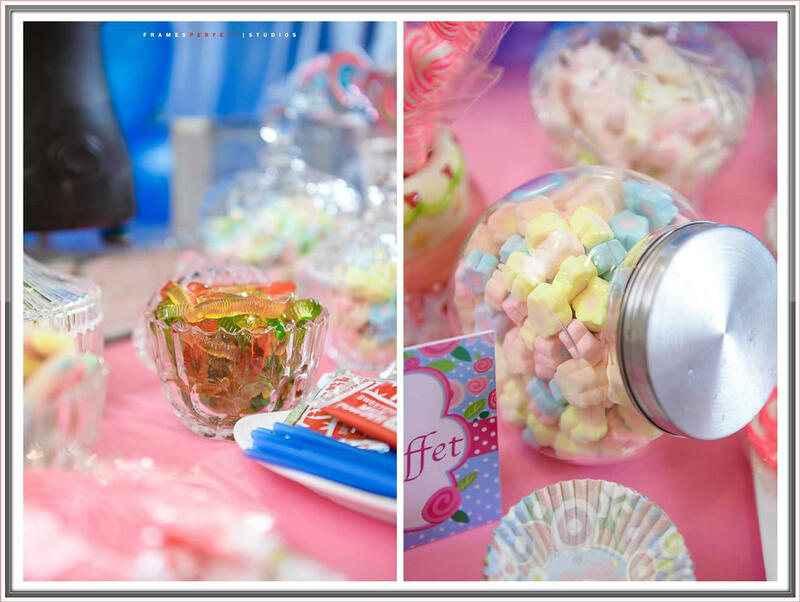 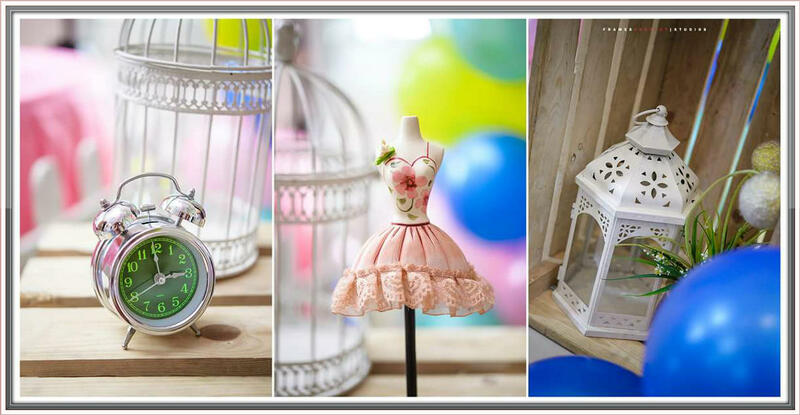 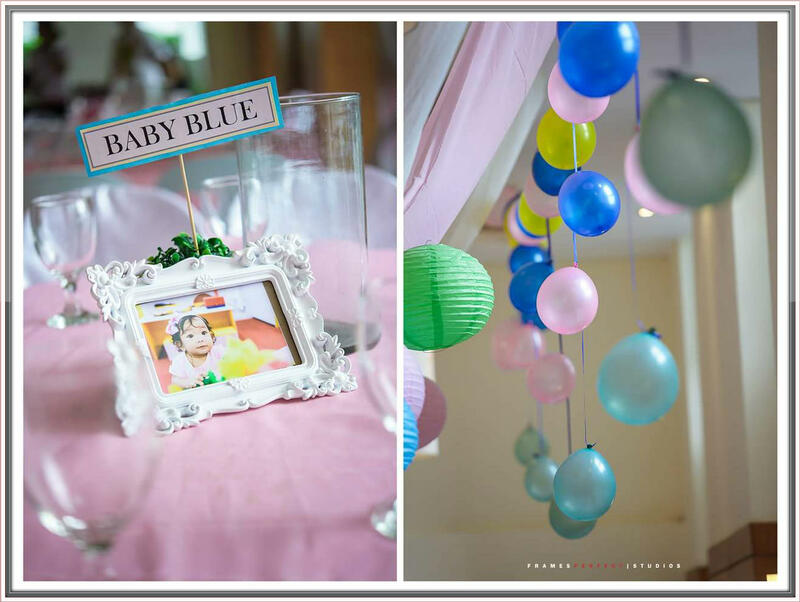 We decided to have a Shabby Chic Pastel Rainbow Colors themed-party for Rhaine. 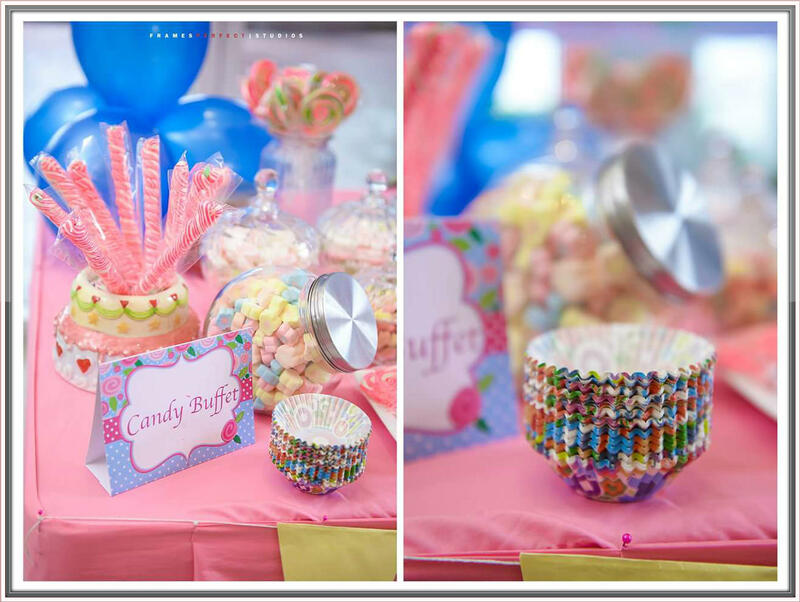 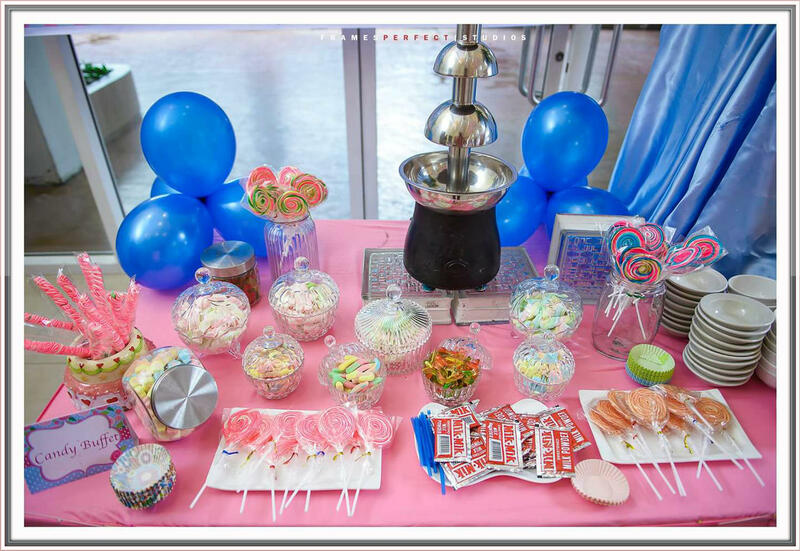 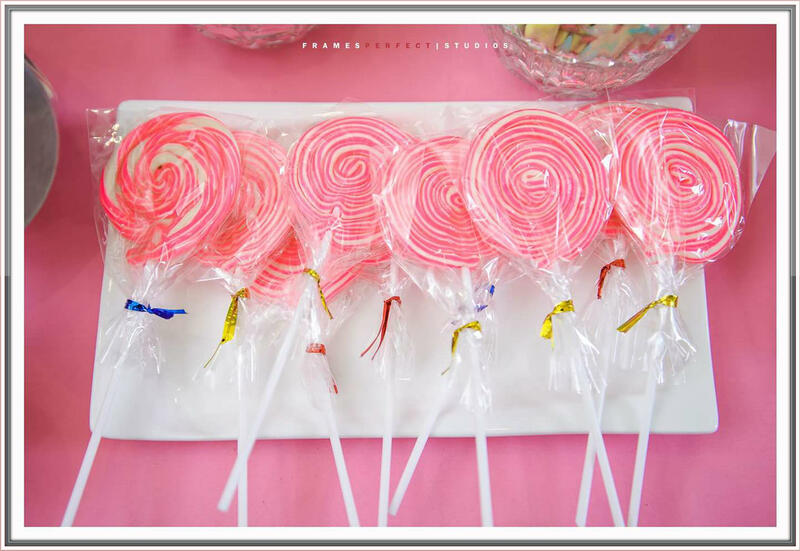 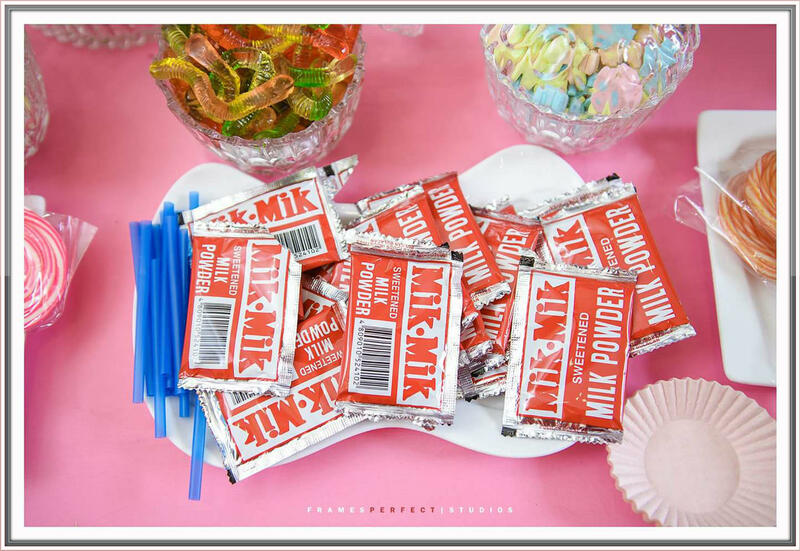 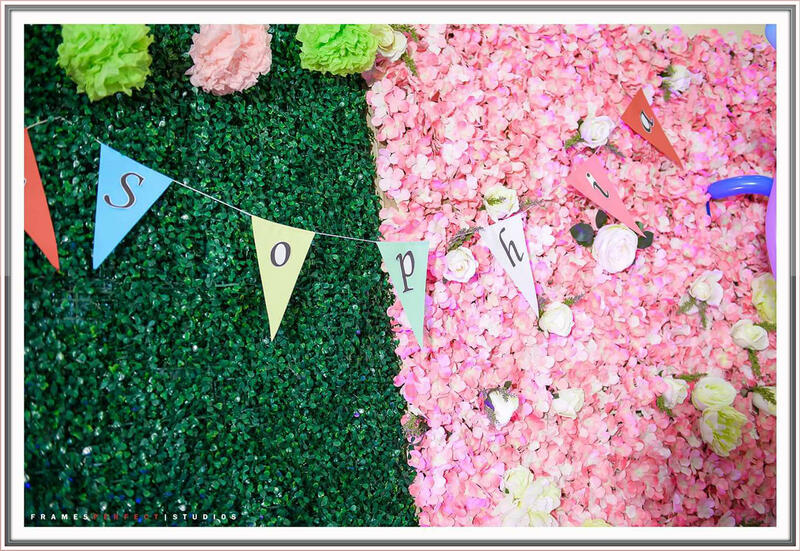 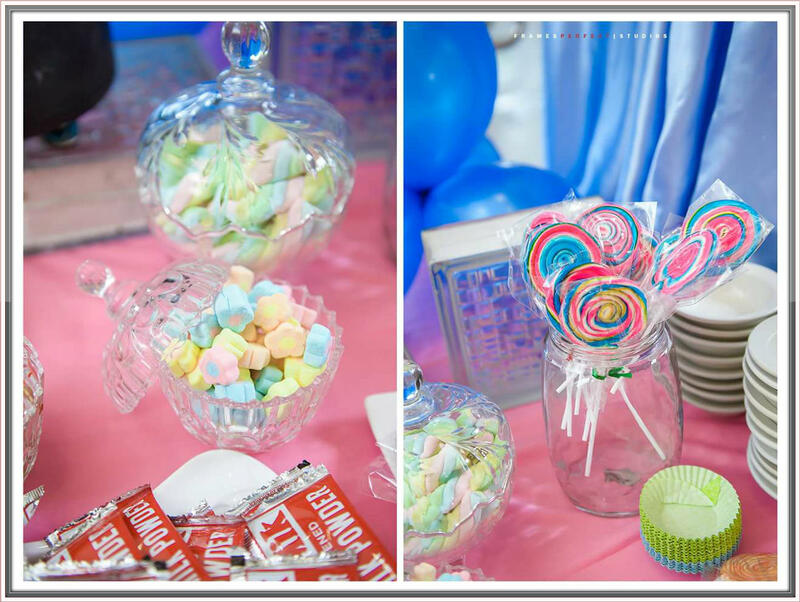 Actually this theme is one of our options for Rhian’s party but ended up Candy Land Themed-party. 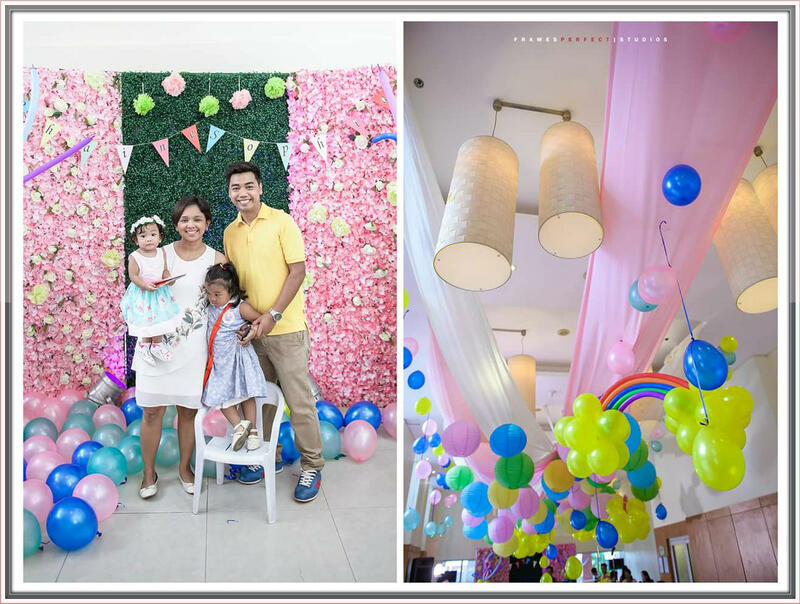 Bagay kasi for Rhaine yung Shabby Chic and isa pa as of today, wala pa syang favorite cartoon character so more on girly type ang peg ng party. 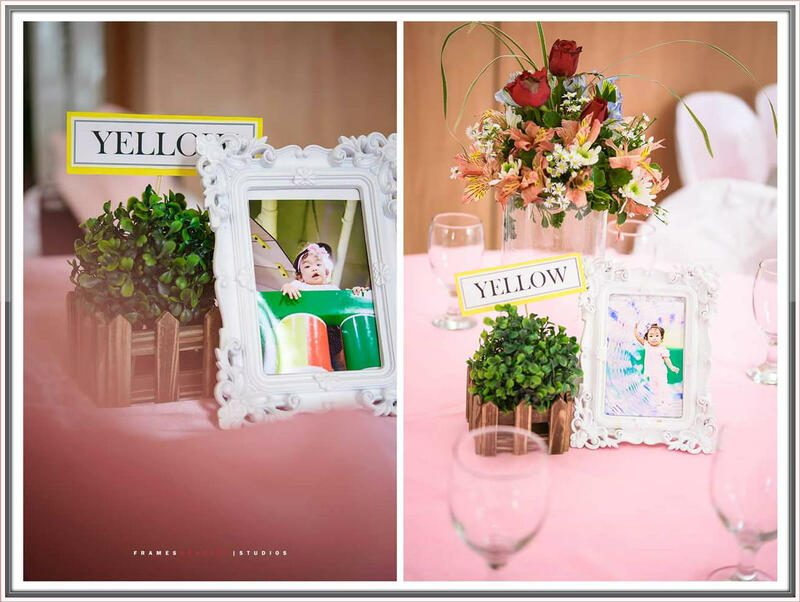 Sharing with you some photos from our official photographer, Dar of Frames Perfect Studios. 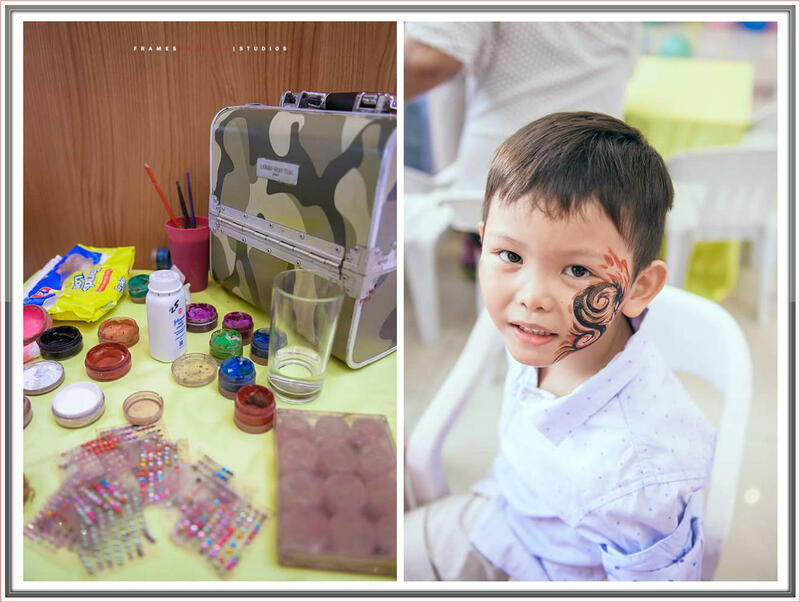 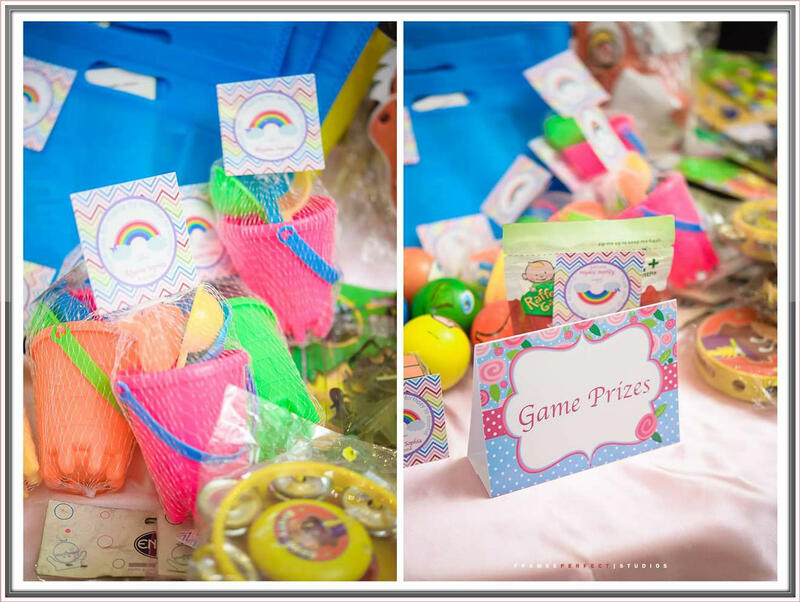 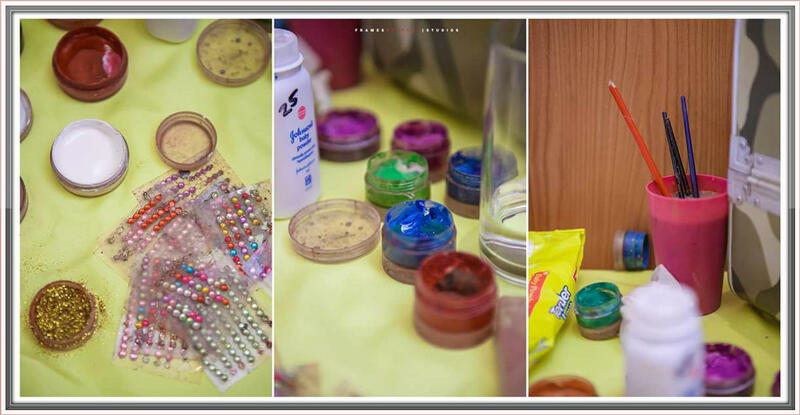 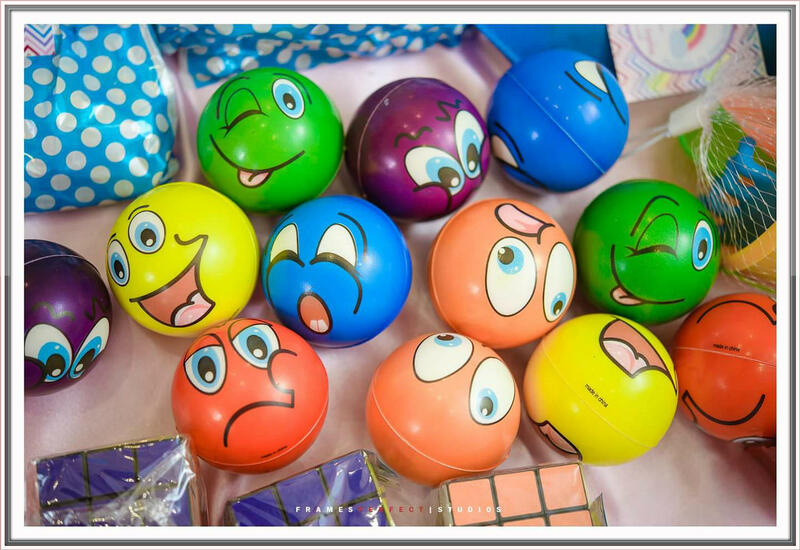 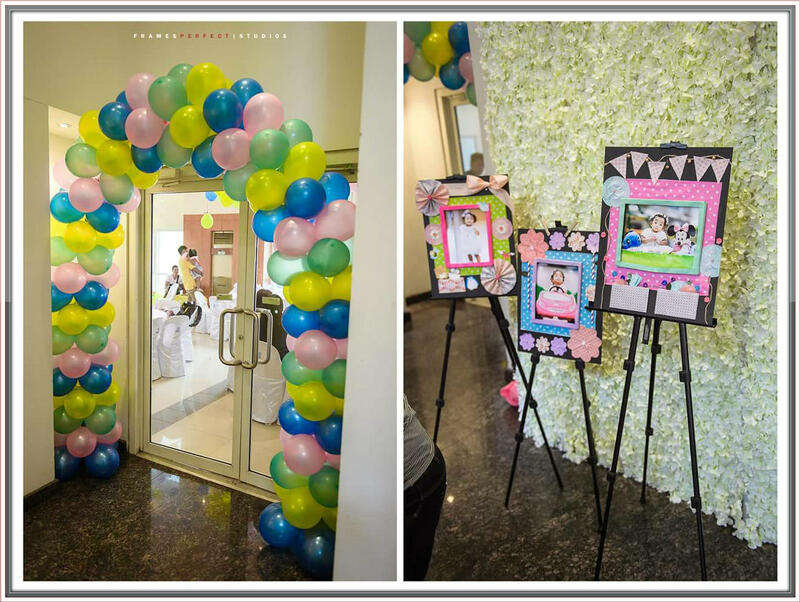 The styling, caterer, lights and mobile sound system, face painter, balloon twister, magician, amenities such as game prizes and loot bags, candy buffet and photo gallery are included in the Party Out Loud Event packages. 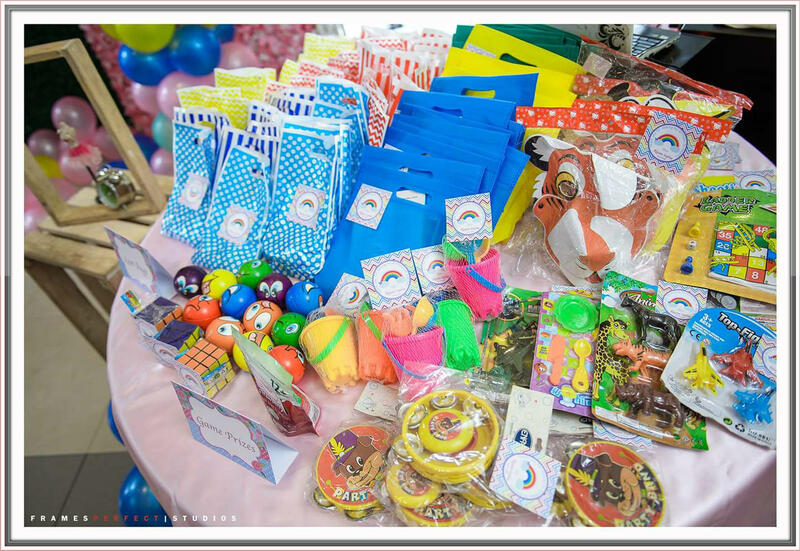 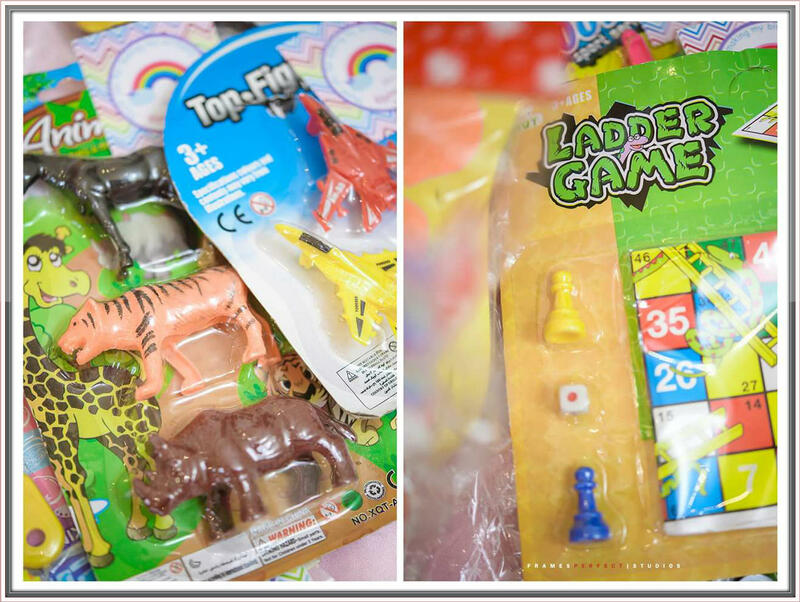 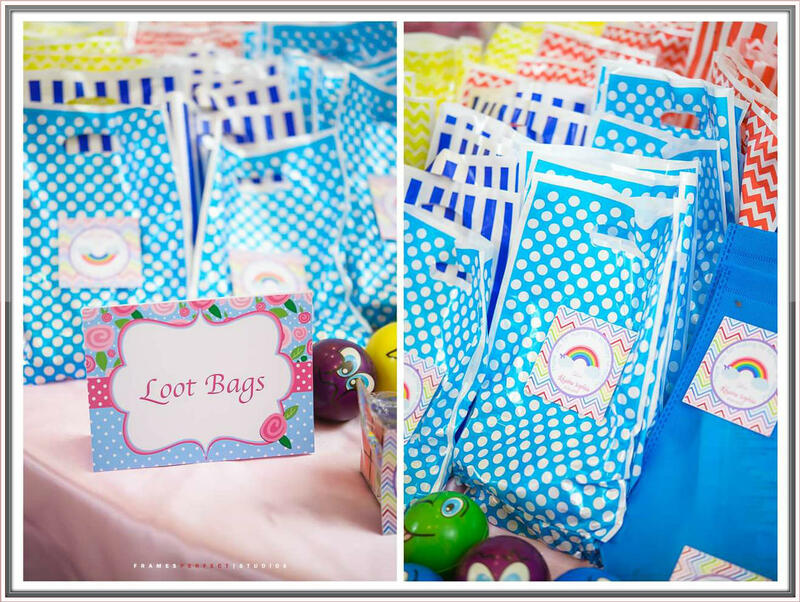 We just added some toys for game prizes, chocolates for the loot bags and other candies for the candy buffet. 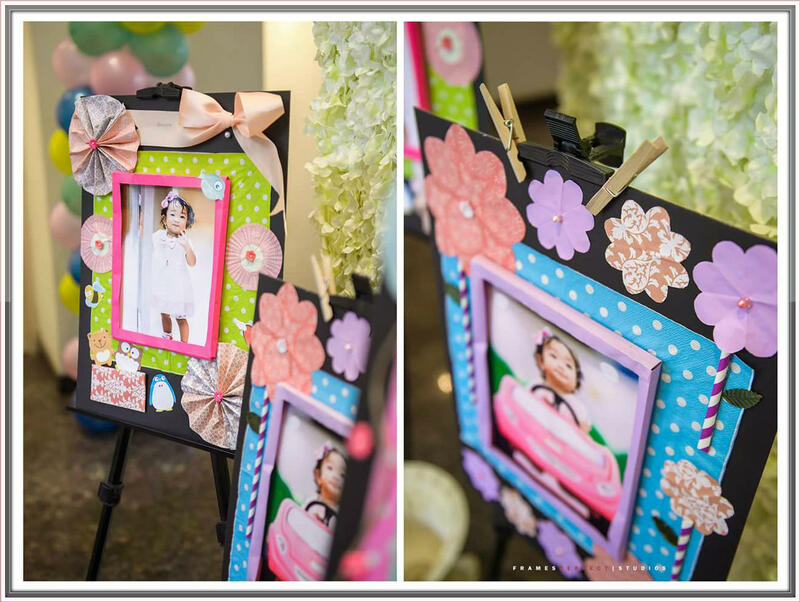 We also provide the photos for the standees and picture frames.